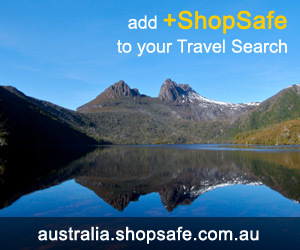 There are 10 shops in the ShopSafe USA Jobs and Employment Shopping Category. Job Seekers! Search over 800,000 jobs, build and post your resume and access thousands of pages of career info and advice. Whether you need help with your resume writing or you are looking for a sample resume to get you started, ResumeEdge provides a complete range of resume services including cover letters and follow-up letters. Also customizes your resume based on your current work situation, industry, and need. ResumeEdge.com: Get a Resume that Gets Results. Go Freelance is an online community for freelance professionals and companies looking to hire skilled freelance experts. Freelance jobs include: data entry, document editing, answering and sending emails, completing opinion surveys and more. Executive Search Online is an online service which helps users to find jobs, and employees. Their technology makes candidates easily accessible to employers, recruiters, and venture capitalists. ZipRecruiter enables companies to post to all the major free job boards with a single submission and vet all applicants through simple-to-setup online question and answer. This service allows the hiring personnel to quickly explore applicants answers and resumes online, while they collaborate which each other to rate and select the best candidates. Job Market Access Center helps users to find employment opportunities, some of which aren't yet available to the public. JMAC provides all the openings, leads and contacts everyone needs to be considered at small employers, growth firms and Fortune 1000 companies. sittercity.com is a simple, safe and secure babysitter matchmaking site. Create your profile, reply to postings and find parents who need sitters. It's the easy way for sitters to find a family. Search through families to find a job that suits you. Medical Transcription Classes can help you secure Stay at Home Jobs with guaranteed results. They offer self paced classes that can be taken from home. They also offer student loans to anybody who wants to become a medical transcriptionist. Receive free tuition by registering for monthly scholarships and promotions. Baffled about where to begin? Lost for words when it comes to "selling" yourself? Never enough time in the day to pull together your resume? Let us do all the work. Don't you wish you were better prepared? Careerjet is an employment search engine for the United States. It allows you to search a growing selection of jobsites in one go saving you the trouble of having to go to each site individually. All else failed? Let us help. If you want to see more Jobs and Employment here, please e-mail employment@shopsafe.cc. Please do not change the subject line of your email. If the subject line does not contain "Add to ShopSafe Online Shopping" it will not be read.